Boston, MA – January 30, 2018 – Sun Multisport Events announced today that it’s Patriot Half was awarded “Best Small Race” (less than 1,000 athletes) in the Triathlete’s Choice Awards presented at the 2018 Triathlon Business International Conference in Tempe, AZ. Now in it’s 12th year, the Patriot Half is a half distance triathlon (1.2 mile swim, 56 mile bike, 13.1 mile run) based at Cathedral Camp in East Freetown, MA. The Patriot Half has sold out each of the last 6 years with 850 athletes. While the event pulls heavily from the New England region, the field is typically comprised of athletes from more than 20 different states and multiple countries. The Patriot also includes a popular aquabike division (1.2 mile swim, 56 mile bike). The 2018 race will be Saturday, June 16, 2018 and general entry sold out in November. 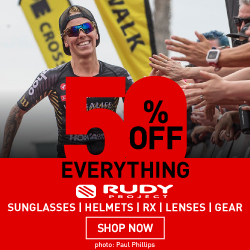 “We are thrilled to have won this award and incredibly appreciative of the support athletes have shown this race.” says Mark Walter, President of Sun Multisport Events and Race Director for the Patriot Half since it’s inception. “With such a great honor, comes great expectations and we will continue to raise the bar to exceed those expectations and deliver an exceptional race experience to athletes in the Patriot as well as all our other races”. This is the second time the Patriot Half has won the “Best Small Race” in the Triathlete’s Choice Awards program, last winning in 2013. The Patriot Half was also recognized as “Best Triathlon” in the northeast by Competitor magazine in 2016. Sun Multisport Events (SME) is an award-winning endurance event production company based in New England offering a unique set of events for athletes of all levels of experience. The SME line-up includes the RACE-MANIA Summit and Expo, an event designed to educate, equip and inspire endurance athletes on the eve of a new season… an award-winning multisport race series… and a rapidly growing trail run series. 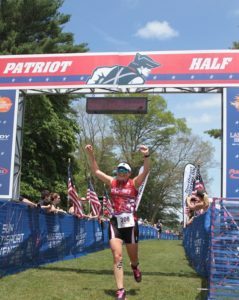 SME’s Patriot Half has won “Best Triathlon” in the 2016 Best of Competitor (Northeast) awards and “Best Small Race” (less than 1,000 athletes) in the 2017 and 2013 “Triathlete’s Choice” awards program organized by Triathlon Business International. The SME triathlon series also won “Best Race Series” in the 2013 Triathlete’s Choice Awards.